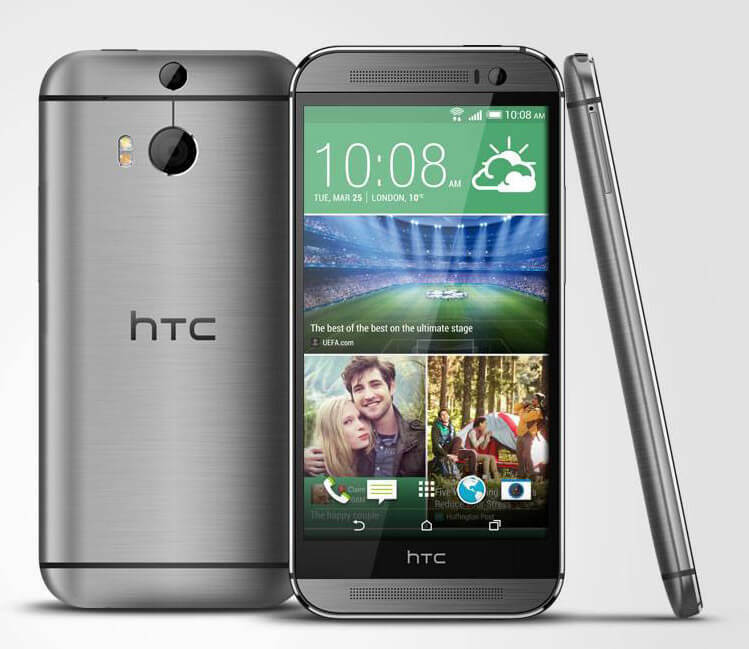 HTC introduces sleek and smart hand-set with touch screen service of its valued customers. This is tremendous Smartphone has launched by HTC mobile manufacturing brand for cellular operators because it is providing latest technologies and incentives in this launched mobile phone. The name of newly introduced Smartphone is HTC One M8 Smartphone and it is providing fast Quad-Core 2.3 GHz processor by using countless facilities in a same occasion. HTC always introduces Android system and it is also providing Android OS, KitKat system for operating in this hand-set. This Smartphone is giving wide display screen with 16M colors and multi-touch facility. Dual sim option is also available in this mobile phone and buyers can easily avail two sim connections in a single by using this product.The weight is extremely light of this product and it is giving charming look with sleek shape in this launched cellular phone. It is also giving an efficient front and back camera feature for using with multiple incentives. All the basic features of Smartphones are attached in this hand-set and customers can avail all facilities after buying this product. System: Android OS, v4.4.2 KitKat. Processor: Quad-core Krait 400 2.3 GHz,Qualcomm MSM8974AB Snapdragon 801. Rear Camera: 4 mega pixels (Dual-LED flash). Front Camera: 5 mega pixels (Touch-Focus). Display Colors: 16M colors, Super LCD3 capacitive touchscreen. Bluetooth, Micro USB v2.0, WLAN, Wi-Fi, Wi-Fi direct, DLNA, GPRS, EDGE, Wi-Fi Hotspot. 4G Enabled: LTE 700 / 900 / 1800 / 2100 / 2600. Audio: FM-Radio, Mp3, WAV, Mp4, 3.55mm audio jack. Messages: SMS, MMS, E-mail, Push Mail. Ringtones:Mp3, WAV, Polyphonic tones, Downloadable, Sound-recording. Other Features: GPS and A+GPS support, SNS integration, Multi-display-touch, External micro SD-card up-to 128 GB, Calendar, Google Maps, Speaker-Phone. Latest Features: Active noise cancellation via MIC, Video-recording, Predictive text input, HTC Sense UI v6.